The major thrust of the lab is to understand the complicated regulatory networks operative in higher organisms. These networks can be visualized as multi-dimensional systems composed of various genomic elements (proteins, regulatory RNAs, cis-acting elements etc) that interact with each other in response to various developmental and environmental cues. MicroRNAs define one such dimension. They are known to regulate a wide variety of developmental and metabolic processes in both plants and animals. One of the research objectives is to identify novel miRNAs and their interacting partners in plants. In order to gather a comprehensive perspective ‘Deep sequencing' followed by bioinformatics analysis of the entire small RNA population from various tissue and developmental stages of rice is being done. Thus, it would be possible to characterize global changes in the microRNAs population under various developmental and environmental conditions. On the other hand, work has also been initiated to conceive logistics for manual literature-based curation of all the rice proteins with a view to develop a protein-centric interaction database of rice. Instead of a simple data compilation, the database would attempt to logically interconnect the various genomic elements on the basis of published information. The ultimate aim is to develop a self-perpetuating database that would act as a hub of information for researchers world-over and also enable research groups to actively share their findings through the database. Parveen I, Singh HK, Malik S, Raghuvanshi S, Babbar SB. (2017) Evaluating five different loci (rbcL, rpoB, rpoC1, matK, and ITS) for DNA barcoding of Indian orchids. Genome. 2017 Aug;60(8):665-671. doi: 10.1139/gen-2016-0215. Epub 2017 May 17. Balyan S, Kumar M, Mutum RD, Raghuvanshi U, Agarwal P, Mathur S, Raghuvanshi S. (2017) Identification of miRNA-mediated drought responsive multi-tiered regulatory network in drought tolerant rice, Nagina 22.. Sci Rep. 2017 Nov 13;7(1):15446. doi: 10.1038/s41598-017-15450-1. Roseeta Devi Mutum, Santosh Kumar, Sonia Chhillar Balyan, Shivani Kansal, Saloni Mathur and Saurabh Raghuvanshi. (2016) Identification of novel miRNAs from drought tolerant rice variety Nagina 22. Scientific Reports 6: 30786. 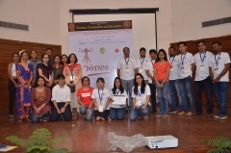 Shalabh Dixit, Akshaya Kumar Biswal, Aye Min, Amelia Henry, Rowena H. Oane, Manish L Raorane , Toshisangba Longkumer, Isaiah M Pabuayon, Sumanth K Mutte, Adithi R Vardarajan, Berta Miro, Ganesan Govindan, Blesilda Albano-Enriquez Mandy Pueffeld, Nese Sreenivasulu, Inez Slamet-Loedin, Kalaipandian Sundarvelpandian, Yuan-Ching Tsai, Saurabh Raghuvanshi, Yue-Ie C. Hsing, Arvind Kumar, Ajay Kohli. (2015) Action of multiple intra-QTL genes concerted around a co-localized transcription factor underpins a large effect QTL. Scientific Reports (in Press). Kansal, S., Mutum, RD., Balyan, SC., Arora, MK., Singh, AK., Mathur, S., Raghuvanshi, S. (2015) Unique miRNOME during anthesis in drought tolerant indica rice var. Nagina 22. Planta 241(6):1543-59. Gour P, Garg P, Jain R, Joseph SV, Tyagi AK, Raghuvanshi S. (2013) Manually curated database of rice proteins. Nucleic Acids Res. 42(1): D1214-21 (Database issue). Mutum RD, Balyan SC, Kansal S, Agarwal P, Kumar S, Kumar M, Raghuvanshi S. (2013) Evolution of variety-specific regulatory schema for expression of osa-miR408 in indica rice varieties under drought stress. FEBS J. 280 (7): 1717-30. Vikram Saini, Saurabh Raghuvanshi­­, Jitendra P. Khurana, Niyaz Ahmed, Seyed E. Hasnain, Akhilesh K. Tyagiand Anil K. Tyagi. (2012) Massive gene acquisitions in Mycobacterium indicus pranii provide a perspective on mycobacterial evolution. Nucleic Acids Research 40(21):10832-50. Parveen, I., Singh, H. K., Raghuvanshi, S., Pradhan, U. C. and Babbar, S, B. (2012) DNA barcoding of endangered Indian Paphiopedilum species. Mol. Ecol. Resour. 12(1):82-90. *Gupta, V., *Raghuvanshi, S., Gupta, A., Saini, N., Gaur, A., Khan, M. S., Gupta, R. S., Singh J., Duttamajumder, S. K., Srivastava, S., Suman, A., Khurana, J. P., Kapur, R., Tyagi, A. K. (2010) The water-deficit stress- and red rot-related genes in sugarcane. Functional & Integrative Genomics. 10: 207-214. *Equal contribution. The rice annotation project (2007). Curated genome annotation of Oryza sativa ssp. japonica and comparative genome analysis with Arabidopsis thaliana. Genome Research, 17: 175-183. The Rice Chromosomes 11 and 12 Sequencing Consortia (2005). The sequence of rice chromosomes 11 and 12, rich in disease resistance genes and recent gene duplications. BMC Biology, 3:20.
International Rice Genome Sequencing Consortium (2005). Map based sequence of the rice genome. 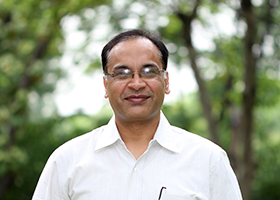 (Authors from UDSC) S. Raghuvanshi, A. Mohanty, A. K. Bharti, A. Gaur, V. Gupta, D.Kumar, V. Ravi, S. Vij, A. Kapur, Parul Khurana, Paramjit Khurana, J. P. Khurana, A. K. Tyagi. Nature, 436; 793-800.